Q1. Can you explain your experience when you were hired to give away cigarettes to people? why you left and went public about it? What about the other girls who were working with you and your employer? Did the media cover your story or was it ignored? In July 2000, while on vacation, I was approached by a neighbor of mine, working for a trade company, who offered me a summer job. So I started promoting the Philip Morris cigarettes (Marlboro and Bond). My job, and that of my colleagues, (two other attractive young girls), which was a well paid one, (300 USD per month while a physician or a teacher normally gets about 100 USD per month) consisted in offering cigarettes to smokers passing-by. The smokers who liked the cigarette, could buy them and get a present like lighters or sunglasses, depending on the number on the packs of cigarettes they had bought. It was a work that took a great part of my day, because we did not advertise only in Tirana, but we used to move frequently to other cities like Durres and Elbasan. In these towns we were not stationed in one place, but had to move from one place to another, like market places in the open air or places with a lot of people. We used to work four hours in the morning and two or three in the afternoon. At the end of August during one of such promotion round in the city of Duress, I saw two men coming toward me. One of them was smoking a cigarette, so I offered him one of Marlboro cigarettes, as I started the presentation. The two men were listening to me very carefully, and at the end of my pitch the non-smoker told me about his job. He was Roland Shuperka, the WHO anti-tobacco counterpart and the president of the Association "For a tobacco-free Albania". He tried to convince me about giving up this kind of job and starting the collaboration with him. He gave me his phone number. I promised to call him. Nevertheless some time passed by until October , when he came to my school, on the occasion of the "Week of Resistance to Tobacco Transnationals" to show the film "Making a killing". I was still working for Philip Morris. I was really shocked by what I saw. Watching the film, discussing it with Roland Shuperka I begun to change my mind. I learned about the Global Partnership for Tobacco Control managed by Essential Action and the World Health Organisation and other organisations and the fight they were waging against tobacco. From that moment I thought that what I did from promotion of cigarettes was a very ugly thing and I decided to quit. The other girls are still doing the job and my employer respected my wish to leave the job to do exactly the opposite! Of course the local media covered my story as well as my going to the Conference in Budapest. Q2. Can you tell us about your participation in this WHO Conference on Youth and Smoking in the Countries of Central and Eastern Europe, that took place 16-18 November 2000 ? The conference was very good. I learned a lot. It helped me to understand that we are not alone in this fight against tobacco. I gave my personal testimony. People were shocked that such young girls were hired for this promotion job. Q3. 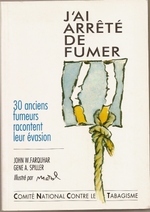 Giving away cigarettes is a favorite marketing tool of the tobacco industry, even when it is prohibited. It is legal in Albania to give away cigarettes? There is no law in Albania against such promotions. Quite the contrary. The Parliament just approved measures to increase tobacco production. With a few other high school friends who also became members of For a Tobacco-Free Albania we staged a protest in front of the Parliament: to no avail. For now. Q4. How big are the tobacco multinationals in Albania? How much does a pack cost? Q5. Now what? What are you doing to fight big tobacco? With the other members of the association, we are trying to change the ways things are going in our country. We are in all the protests, in the newspapers, the TVs. I told my story as the sisters Pupa had told how tobacco had terrible consequences on their family: Nevila and Arlinda's mother died in October because of smoking and their Dad has lost his voice after a laryngectomy. Nevila and Arlinda are my age. We work together. We want to pass a tobacco control act and reduce the percentage of young smokers. We are looking for funds to use here the materials from the Arizona Tobacco Education and prevention program, "tobacco causing teeth staining, smelly, puking habit". We are organizing for World No Tobacco Day and supporting a local hospital that is going smokefree. I am going to the schools to give lectures. We are trying our best. 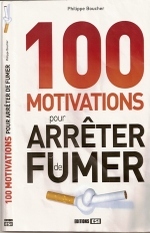 But there is a lot of advertising and promotion for cigarettes and very little against tobacco. We hope to make progress. Thank you Sara for taking the time to be with us today.